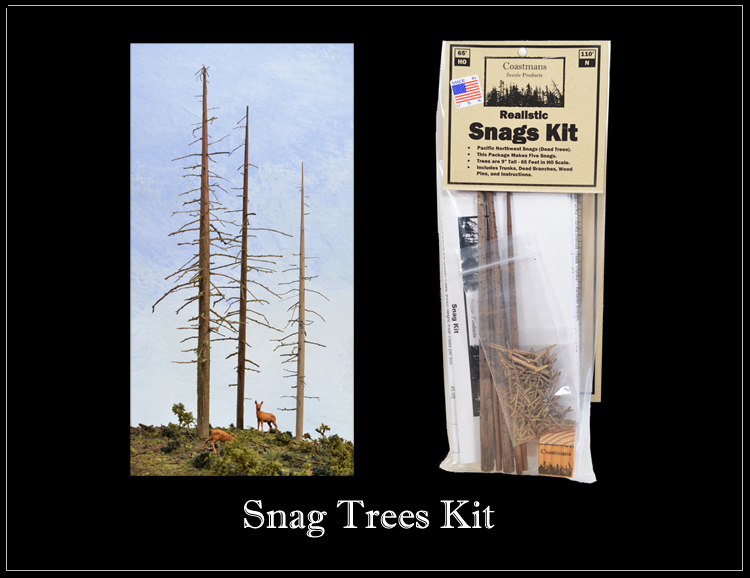 Completely realistic 'snag' trees - this kit makes five trees from 150mm - 280mm tall (6" - 11"). Recommended to assemble using hot glue - not included. Suitable for all popular scales from 'N' to 'O'.